(RxWiki News) When it comes to cleaning a dirty dish, more scrubbing is needed to get it clean than to keep it clean. It could be similar when it comes to getting rid of the urate crystals associated with gout. A two-stage approach may help gout patients keep their joints clean. At first, patients may need full doses of urate-lowering therapy to dissolve the needle-like urate crystals around their joints. In order to keep those crystals from reforming, patients may need lower-dose therapy for the rest of their lives. 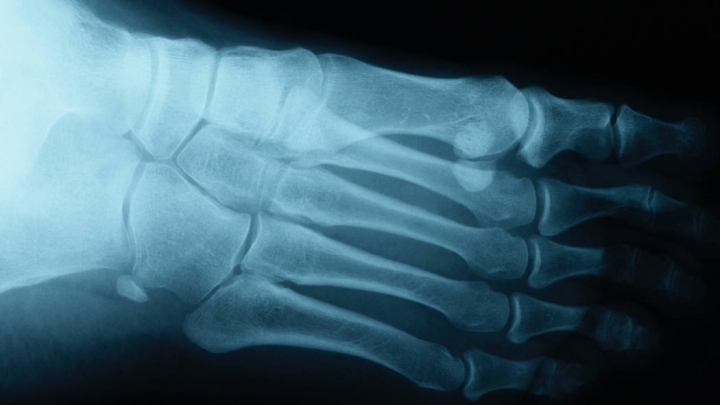 "Work with your doctor to find which urate-lowering therapy works best for your gout." Gout happens when urate crystals form around a joint. Usually, uric acid breaks down in the blood or passes through the kidneys. However, sometimes the body makes too much uric acid or the kidneys do not filter enough uric acid. When this happens, the uric acid can build up into sharp crystals around a joint, causing inflammation and pain. In order to dissolve urate crystals, it is recommended that gout patients bring their serum urate levels (amount of uric acid in the blood) to less than 6 mg/dl, and that they continue aiming for this urate level for the rest of their lives. Fernando Perez-Ruiz, M.D., Ph.D., from Hospital Universitario Cruces in Vizcaya, Spain, and colleagues wanted to see if this strict treatment target had to be maintained for the rest of a patient's life in order to prevent new crystals from forming. The results show that the strict target is not entirely necessary. Patients may be able to take lower doses of their urate-lowering drugs after they have finished higher-dose therapy to dissolve the crystals. In order to initially dissolve irate crystals, gout patients should still have a target serum urate level that is less than 6 mg/dl. However, once the crystals have been cleared, a lifelong target level of less than 7 mg/dl appears to be enough to keep crystals from reforming. This approach to treatment is being called the "dirty dish" hypothesis. According to the study's authors, "Lifelong treatment can be targeted to achieve serum irate levels just below the threshold for saturation to avoid new crystal formation, similar to cleaning a dirty dish: more is required to get it clean than to keep it clean." For their study, Dr. Perez-Ruiz and colleagues looked at crystal recurrence and serum urate data from a group of 211 gout patients. The researchers found that crystals did not recur in patients whose average serum urate levels were less than 7 mg/dl, which differs from the commonly accepted target serum irate level of 6 mg/dl. They also found that weight loss and the use of urate-lowering drugs, such as Cozaar (losartan) and Tricor (fenofibrate), were associated with serum irate levels of less than 7 mg/dl. The use of diuretics, on the other hand, was associated with a failure to achieve serum irate levels of less than 7 mg/dl. Fernando Perez-Ruiz, et al. "A two-stage approach to the treatment of hyperuricemia in gout: The 'dirty dish' hypothesis." Arthritis & Rheumatism. November 29, 2011.